G and E Pharmacy and Pet Supplies in Edmonton, Alberta sells everything you can imagine to people who love and care for animals. There is one corner of the store however that they sell items such as pig nose rings, ear tags, teeth cutting pliers and weaning rings. All of these items are meant to cause pain and suffering when animals are raised and exploited for profit and/or when they try and express natural behaviors such as rooting (in pigs) and suckling (in calves). 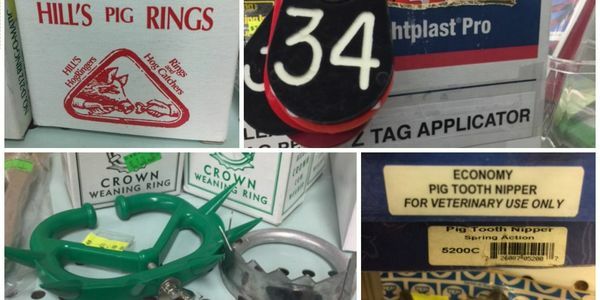 Please sign to ask G and E Pharmacy to stop selling items meant to hurt animals. Thank you to everyone who has signed so far. We have 251 signatures and still aiming for 1,000. Please keep sharing the petition and ask them to stop supporting the cruel and exploitive animal agriculture sector.